Have you tried something new with your spaghetti? 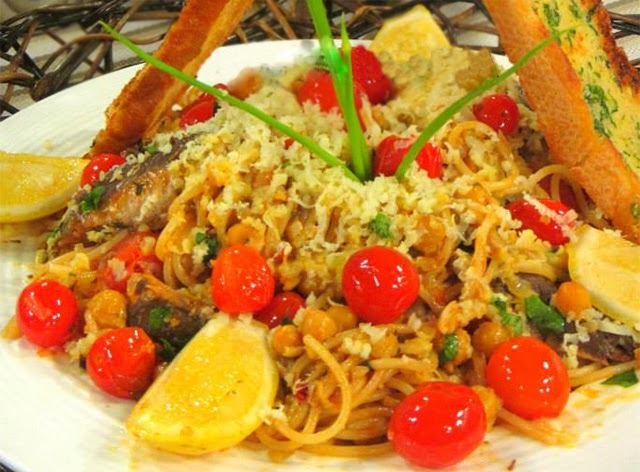 Why don’t you try spaghetti sardines. Yes! We sometimes ignore this tightly canned fish but sardines have a lot of health benefits, experts say. Sardines are one of the ocean's most sustainable superfoods. This is a great idea and a good way to get those omega 3's. I eat a lot of canned fish because it is a healthy bargain.